For the year 2018, more than 22,000 published references can be found in PubMed when entering the search term “cardiac surgery”. As in the last 4 years, this review focusses on conventional cardiac surgery publications which provide important and interesting information especially relevant for non-surgical colleagues. Interventional techniques have been considered if they were published in the context of classic surgical techniques. We have again reviewed the fields of coronary revascularization and valve surgery and briefly touched on aortic surgery and surgery for terminal heart failure. 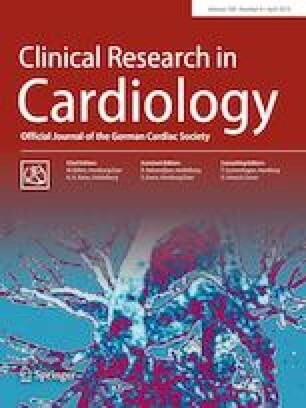 For revascularization of complex coronary artery disease, bypass grafting was reconfirmed as gold standard and computer-tomographic angiography established equipoise for decision-making with classic angiography. For aortic valve treatment, some new longer-term outcomes from TAVI vs. SAVR trials confirmed equipoise of both treatments for high and medium risk. New information was provided for INR-management of mechanical aortic valves as well as long-term experiences for alternatives to mechanical valves (i.e., Ross and the relatively new Ozaki procedure). In the mitral and tricuspid field, prevalence data illustrate a significant amount of under-treatment for mitral and tricuspid valve regurgitation and evidence for life prolonging-effects of surgery. Finally, elongation of the ascending aorta was identified as new risk factor for aortic dissection and 2 years outcome of the newest generation of left ventricular assist devices demonstrate impressive improvements in outcome. While this article attempts to summarize the most pertinent publications, it does not expect to be complete and cannot be free of individual interpretation. As in recent years, it provides a condensed summary that is intended to give the reader “solid ground” for up-to-date decision-making in cardiac surgery and a stimulus for in-depth reading. We would like to thank Benjamin Gloy for expert technical assistance in the preparation of the manuscript.